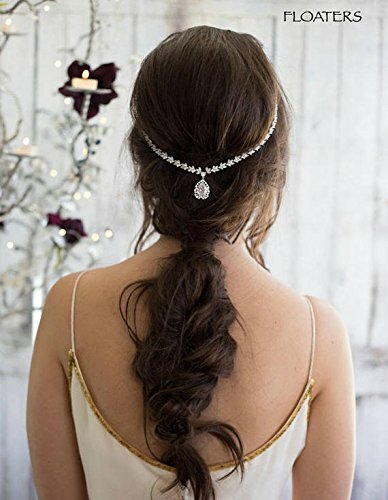 The Kara Headpiece is a romantic, dainty headpiece that can be worn many ways. This piece is created with various size Cubic Zirconia stones and are clear in color. This piece can be worn in the back of the head or as a frontlet. The Dream Collection is new to my shop. All Bridal Jewelry Sets in the Dream Collection are made with the highest quality CZ Diamonds encrusted white gold plated bases. Silver Hair comb with Zodiac Horoscope Astrology Sign "Virgo"
Silver Hair comb with Zodiac Horoscope Astrology Sign "Leo"